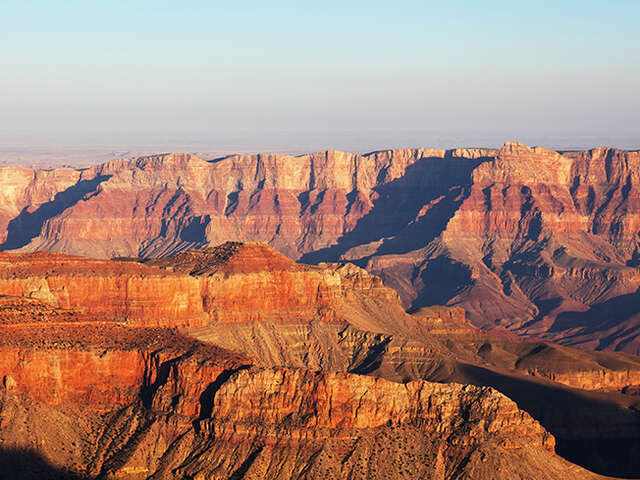 Still breathtaking, still grand: The Grand Canyon | UNIGLOBE Direct Travel Ltd.
Grand Canyon tours from Las Vegas come in many forms: There are Grand Canyon helicopter tours, Grand Canyon airplane tours...heck, for all we know, there are Grand Canyon yak tours. So, whether it's by land, air, or yak, our time-tested advice is to get out and explore the region. The reason all of these tours exist, though, is obvious: The Grand Canyon is amazing. If you can find one person who wasn't awestruck, slack-jawed and just plain dumbfounded at first sight of the thing, well, that would be amazing, too. We, though, will do our best to describe it here. Vast and majestic, colorful and beautiful, the Grand Canyon is one of this country's - and the world's - most recognizable landmarks. It stretches 277 miles from end to end. Red, rocky walls descend more than a mile to the canyon's floor, where a majestic Colorado River carves out a raging southwest course. Breathtaking doesn't even begin to describe it. Around 5 million people see the mile-deep canyon every year, many of them on guided tours, and Grand Canyon National Park has established itself as one of the world's greatest natural attractions. The South Rim is open all year-round, weather permitting. The North Rim is generally open mid-May to mid-October. Contact one of our travel experts today to book your Grand Canyon tour!